Such a great use of the colors, Marsha! I love the turquoise airplane. Great use of white space to highlight these otherwise bright colors. Thank you for joining us at The Paper Players! Thanks, Nance! It was such a fun card to make with colors I don't normally think to put together. 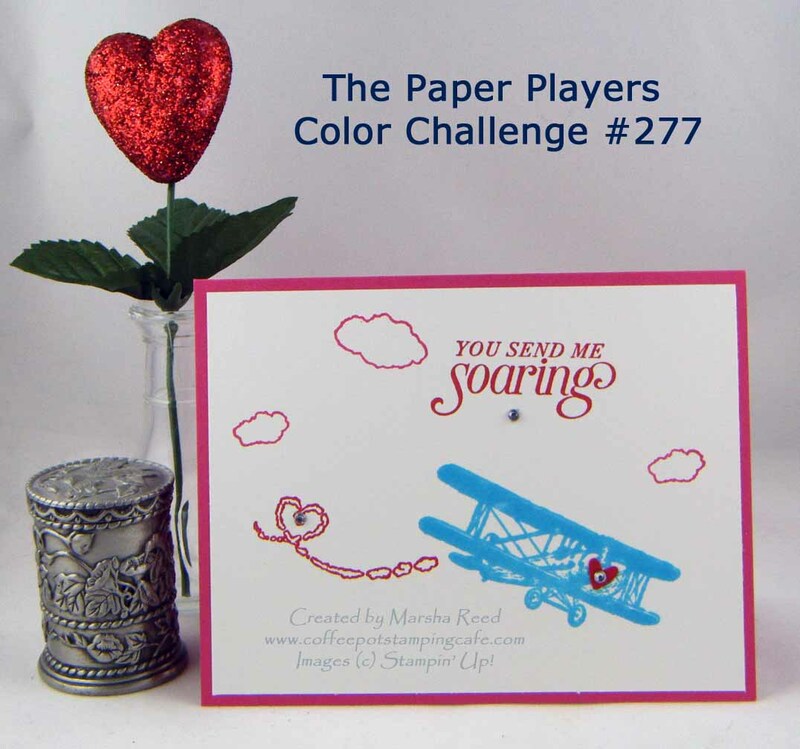 Marsha this is a beautiful card using the colors in an excellent way! LOVE that tiny red heart! 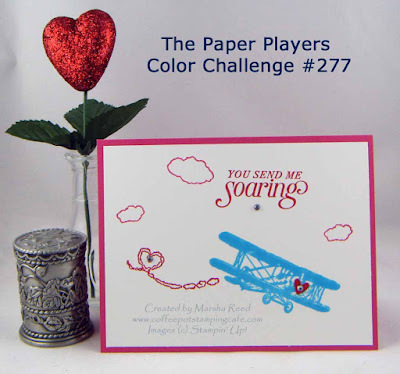 Thanks for joing us at the Paper Players! Thanks, Hannelie! They were great colors to work with. Thanks, Claire! 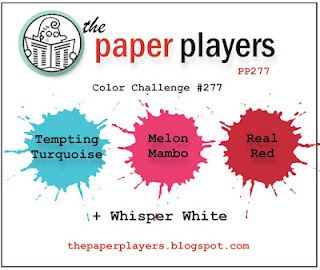 I loved the colors you gave us for this challenge. They were perfect for a Valentine's Day card.